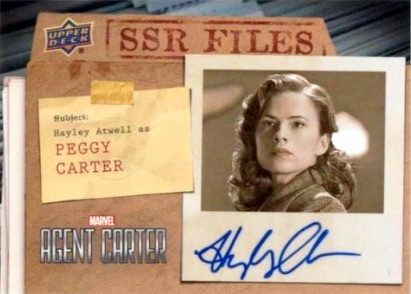 Despite a relatively limited run in the Marvel Cinematic Universe (MCU), 2018 Upper Deck Agent Carter celebrates the short-lived ABC series with a premium release exclusive to Upper Deck's online ePack platform. 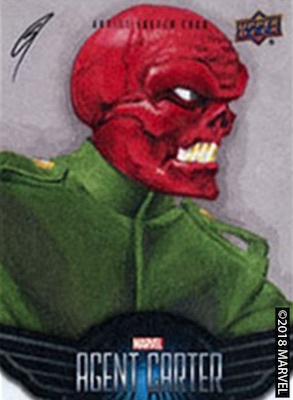 Every pack has just one card, but it's either a hand-drawn sketch card or features a cast autograph. Only found on ePack, packs sell only for $24.99 and four-pack boxes go for $95.99. 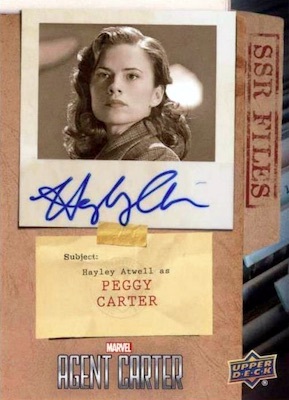 Set in the 1940s, Marvel's Agent Carter stars Hayley Atwell as Peggy Carter. 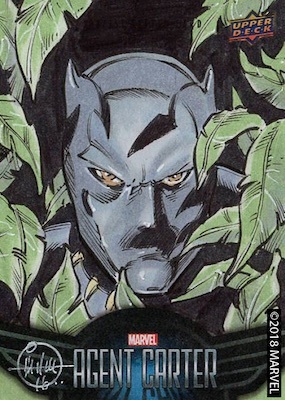 Even if you haven't seen the 18-episode show, you might remember her playing the same character in Captain America: The First Avenger, as well as from a few cameos in other MCU films. 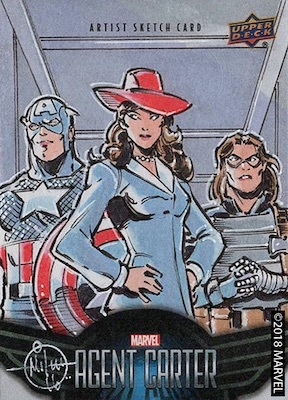 Although only consisting of hits, 2018 Upper Deck Agent Carter covers both Season 1 and Season 2 of the show with notable on-screen moments. 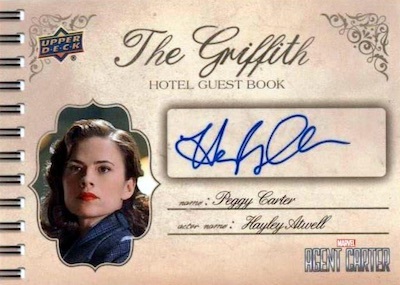 A total of 16 signers are available in The Griffith Hotel Guest Book Autograph and SSR Files Autograph set, including Hayley Atwell as Peggy Carter, and James D'Arcy as Edwin Javis. The SSR cards have Variant Autograph versions, as well, while The Griffith Hotel Guest Book insert comes in Dual Autograph form. 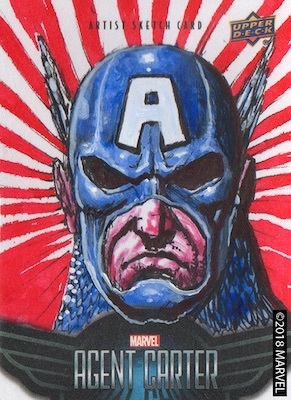 There are also Sketch cards from an artist lineup that includes Clint Langley, Gabe Farber and Mitch Ballard. The first 16 collectors who build each of the main autograph sets (Griffith Hotel, SSR and SSR Variant) can redeem them for the SSR Files Autograph Achievement, which offers four random printing plates (1/1) in either Black, Cyan, Magenta or Yellow. PARALLEL CARDS: Printing Plates 1/1 (Achievement only). 8 cards. Serial numbered #/25 or #/10.